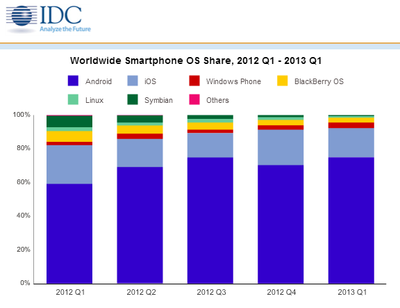 Android and iOS, if you aren’t already well aware, are dominating the global smartphone market. 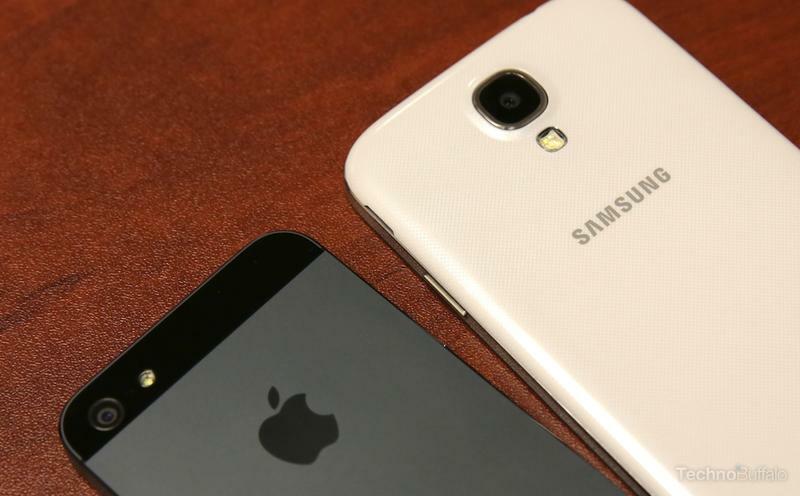 Research firm IDC recently found that the two operating systems accounted for 92.3 percent of all global smartphone shipments during the first quarter of this year. Combined, 199.5 million units shipped during the first quarter running those operating systems, up 59.1 percent from the same time last year. 162.1 million Android smartphones shipped during the quarter, representing a 75 percent market share, up 79.5 percent from Q1 2012. 37.4 million iOS devices shipped for 17.3 percent share, up 6.6 percent from Q1 2012. 7 million Windows Phone units shipped for a 3.2 percent share,m up 133.3 percent from Q1 2012. BlackBerry shipped just 6.3 million devices for a 2.9 percent share, down 35.1 percent from last year.